Grand Rapids Griffins fans can start plugging some dates into their phone calendars. The Griffins announced today their schedule format for the 2018-19 season, along with six guaranteed dates. Sat., Jan. 26 – 7 p.m. Sat., Feb. 16 – 7 p.m.
As part of the AHL’s divisonal realignment for next season, San Antonio and Texas join the Griffins’ Central Division. Grand Rapids will play their divisional opponents for a total of 58 games – 10 apiece against Rockford and Milwaukee, eight against Chicago, Manitoba, San Antonio and Texas, and six games against Iowa. A full schedule will be released this summer for the AHL’s 83rd season of operations. 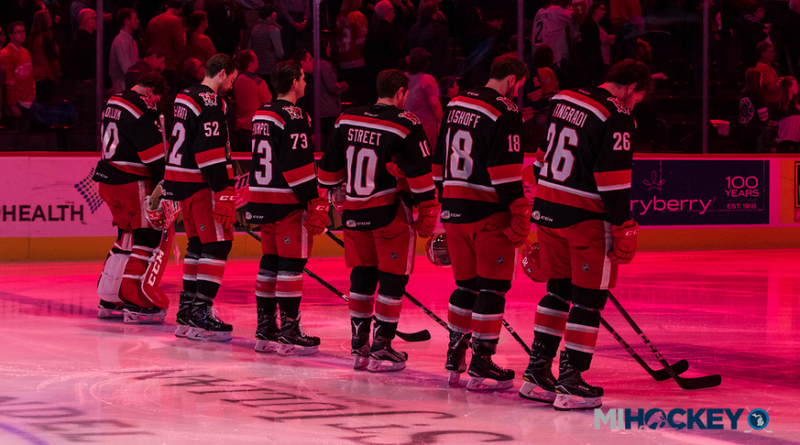 The 2018-19 campaign will be the Griffins’ 18th year of AHL membership and 23rd season overall.